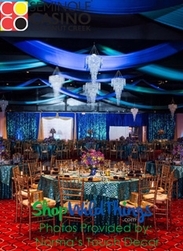 Make sure the venue at your next special event is dressed up from floor to ceiling with these over-the-top ceiling Decorations from ShopWildThings. 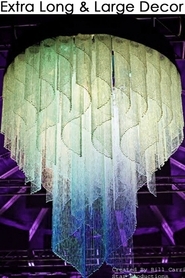 Whether you're looking for a unique solution for hiding a drab drop ceiling or want to create a stunning overhead display above the dance floor, these exquisite ceiling Decor options will help you achieve your unique goals. 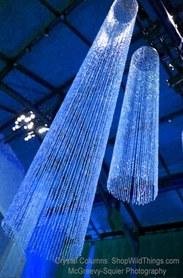 We are the world's largest supplier of affordable beaded curtains, and we always love to see our clients make a splash with beaded curtains on the ceilings and walls. 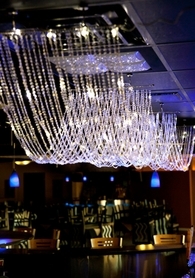 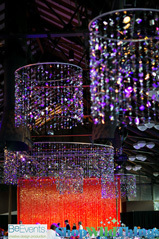 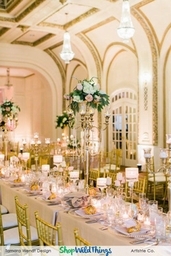 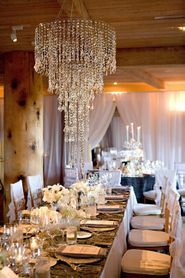 Crystal ceiling drapes are one of the most mesmerizing ways to give your event space a glamorous, Old Hollywood feel. 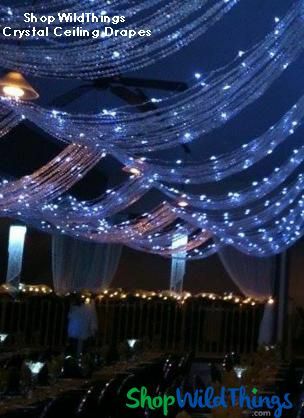 Professional event designers prefer ceiling drapes over other installations because they're simple to install and affordable in comparison. 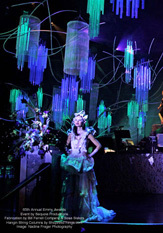 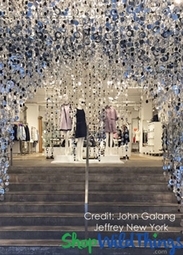 ShopWildThings even carries LED ceiling canopies for an enchanting light display overhead. 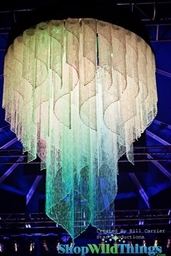 Dozens of other overhead Decor solutions, including crystal chandeliers, affordable hanging light fixtures, colorful canopies and sequin fabric will help bring your wedding or event Decor to life from above.